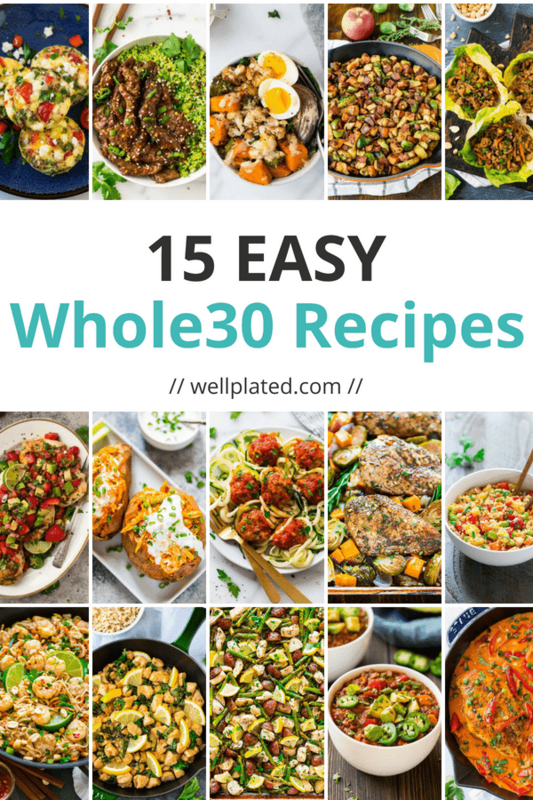 Whether you are looking for Whole30 recipes because you are following the Whole30 diet or are simply in need of some tasty, healthy recipe inspiration, this is the list for you! 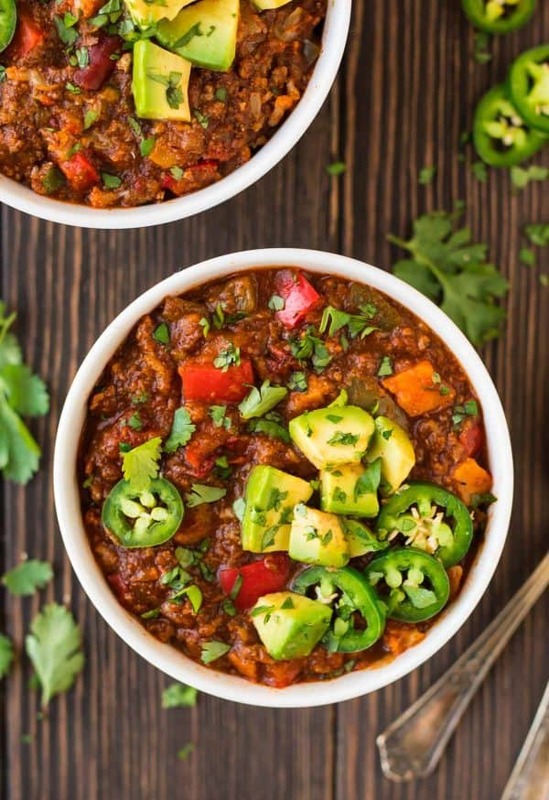 You’ll find Whole30 vegetarian recipes (one of the biggest challenges I hear with the Whole30 diet is how meat-heavy it can be), Whole30 breakfast recipes, and easy Whole30 lunches and dinners (including Whole30 slow cooker and one-pan meals) too. 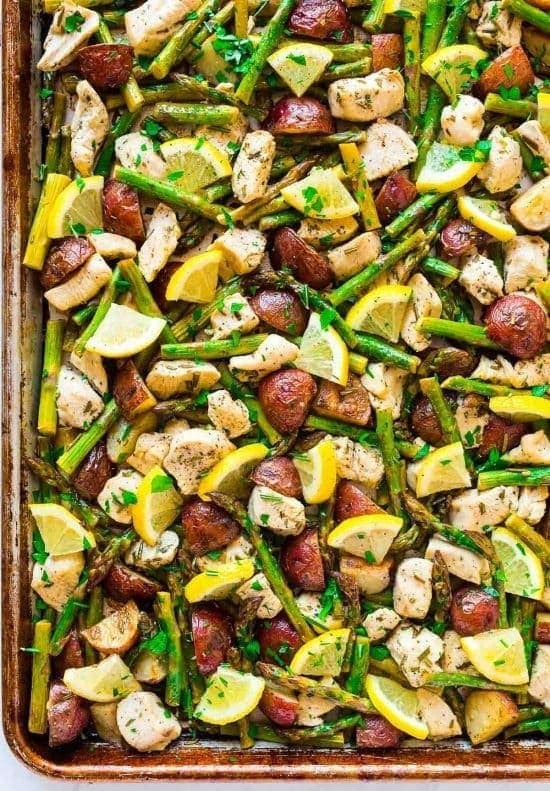 Baked Lemon Chicken cooks together on a single sheet pan, includes oodles of healthy veggies, and tastes extra fresh and peppy, thanks to the dynamic duo of lemon and garlic. 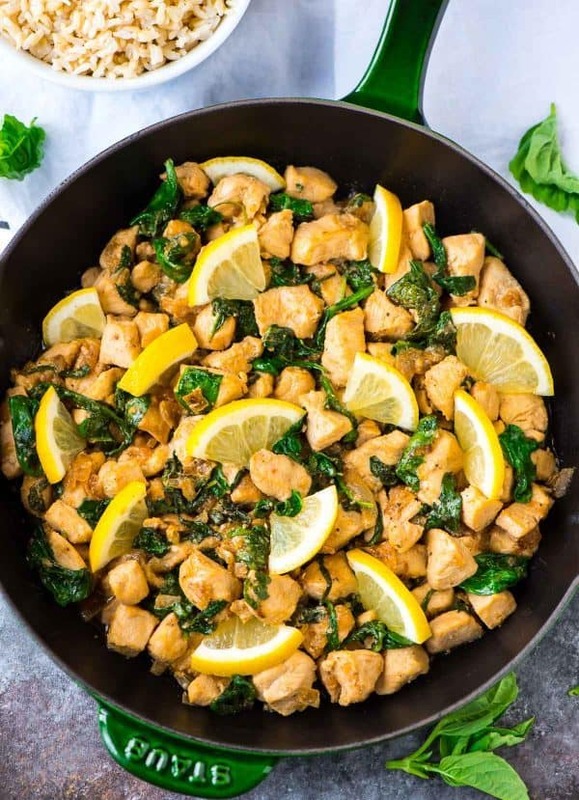 If ever a meal were made for weeknights, this easy Baked Lemon Chicken recipe would be it! Cilantro Lime Strawberry Chicken with Avocado. A healthy, fresh meal! Juicy grilled chicken in a cilantro lime marinade, topped with fresh strawberry salsa and avocado. 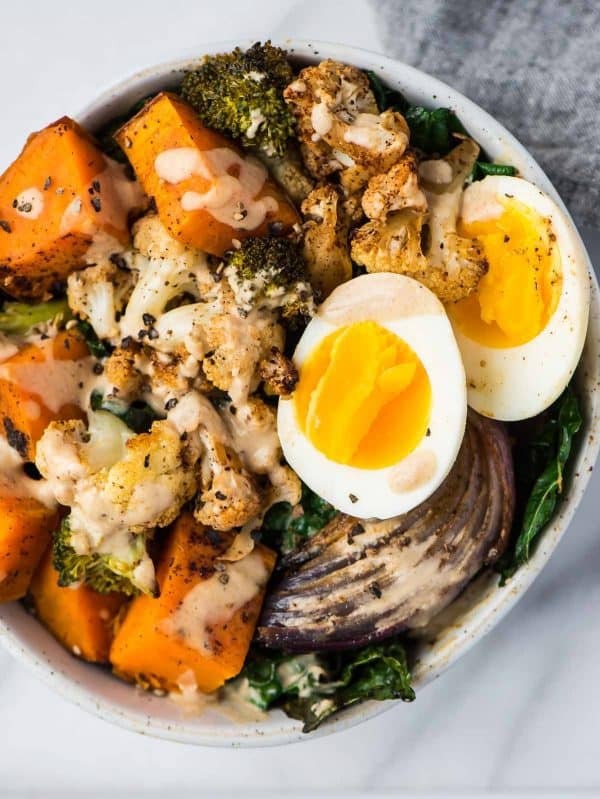 Easy and healthy Whole30 Vegetarian Power Bowl. Low carb, packed with roasted veggies, with a creamy and delicious Whole30 dressing. Top with a soft boiled egg for a filling, high-protein vegetarian meal! A favorite for those looking for Whole30 breakfasts and Whole30 vegetarian recipes. 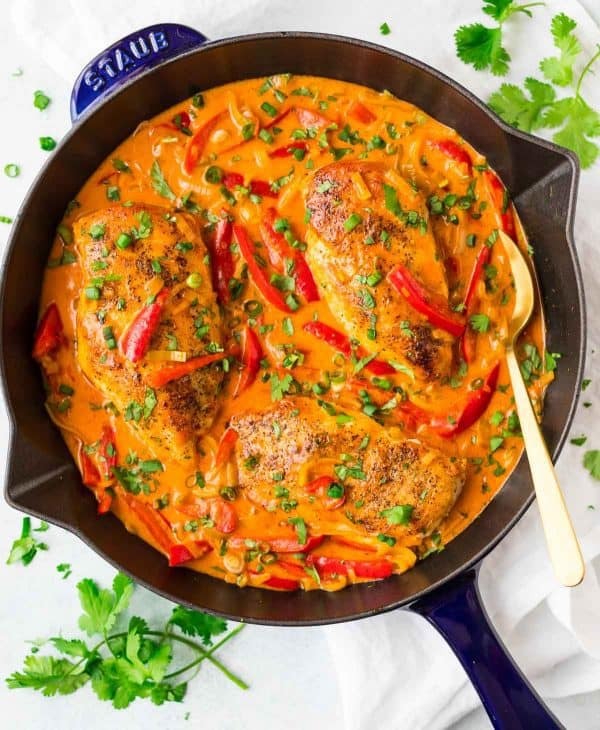 Easy ONE PAN Thai Chicken Curry. 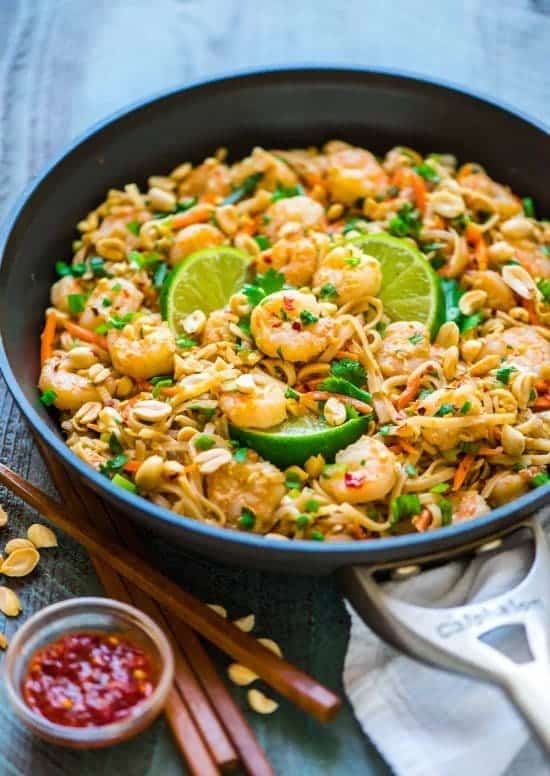 Filled with authentic red Thai curry flavor, not too spicy, and the coconut milk sauce is to die for! Serve with cauliflower rice for a fast, healthy weeknight dinner that is Whole30 compliant. 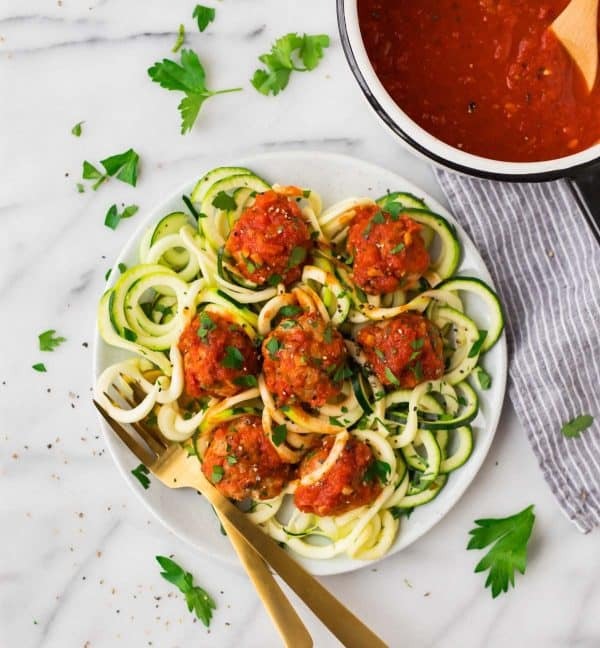 Easy, delicious Italian Whole30 Meatballs and Whole30 sauce. Made with ground turkey, almond flour, and Italian seasoning, this is a healthy, low-carb recipe that families love! 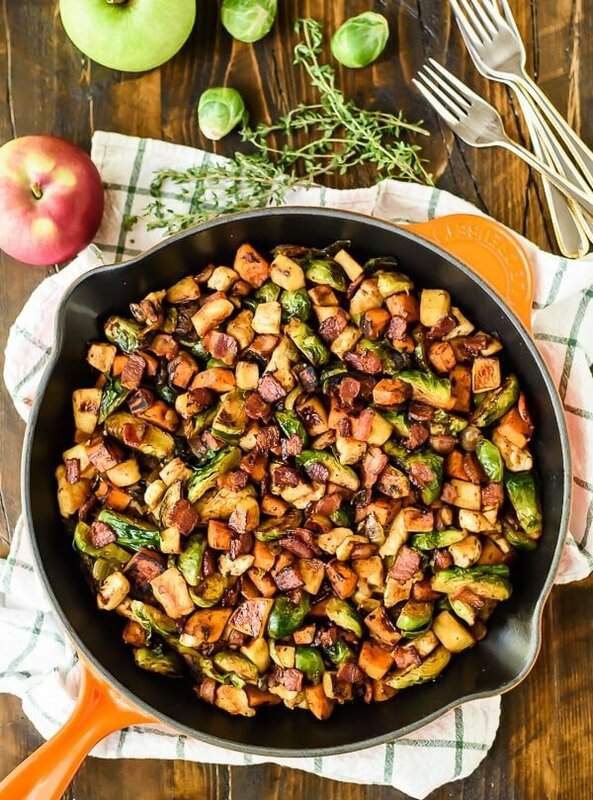 One of our favorite sheet pan meals! It’s an easy, all-in-one chicken and vegetable dinner that’s filled with cozy flavor. 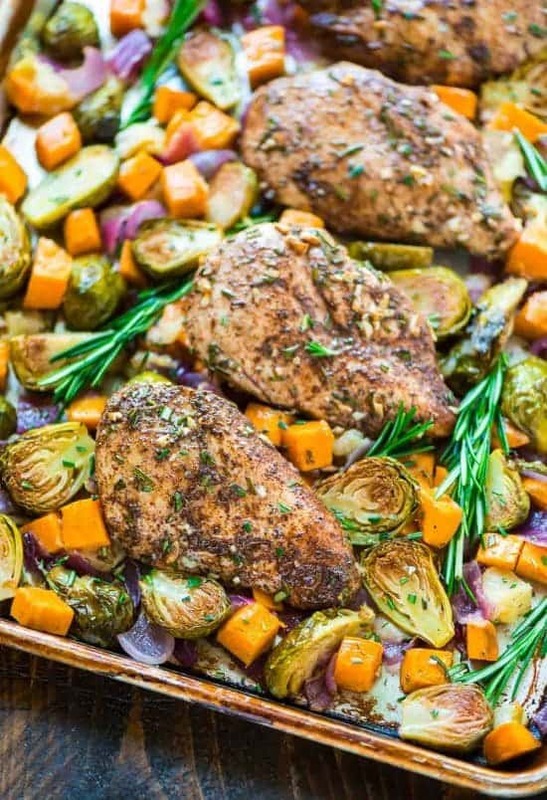 With sweet potatoes, apples, Brussels sprouts, and bacon, this healthy Paleo and Whole30 approved chicken skillet is packed with flavor and delivers every food group in one pan! 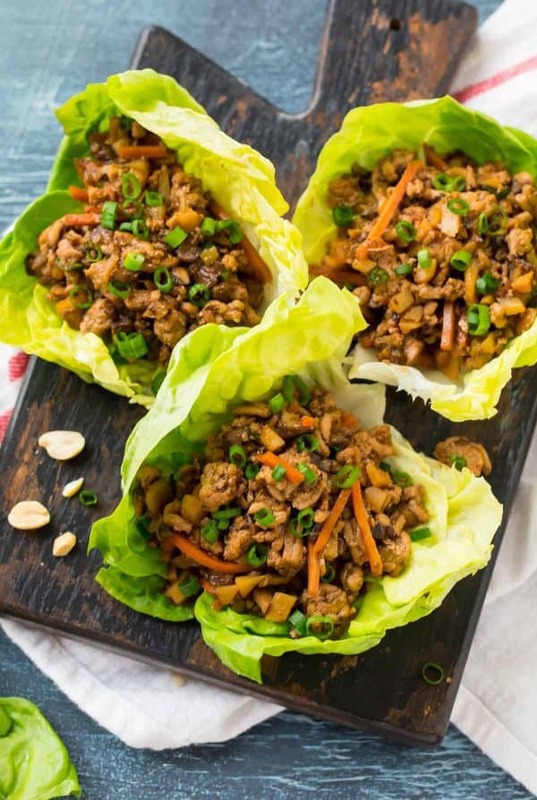 With a few small alterations these Asian Lettuce Wraps will be a Whole30 vegetarian hit! 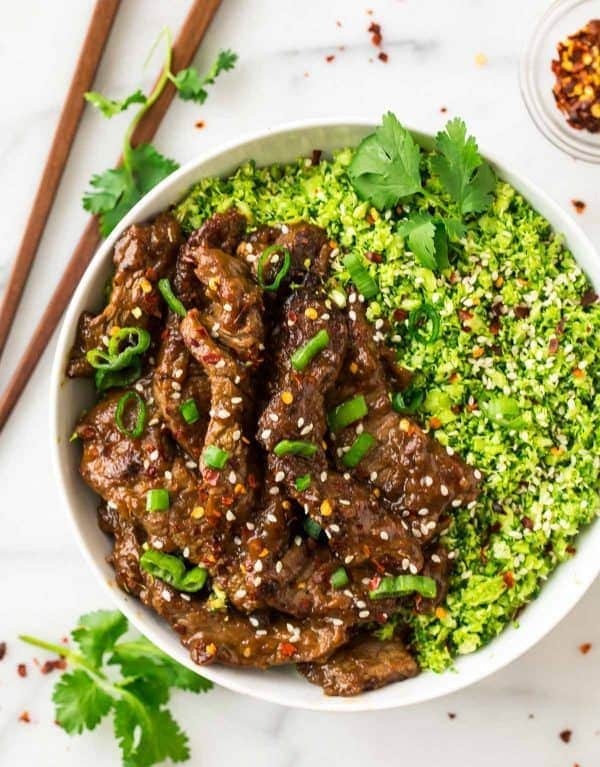 Use this recipe for the hoisin sauce. You will want to swap coconut aminos for the soy sauce and omit the honey. 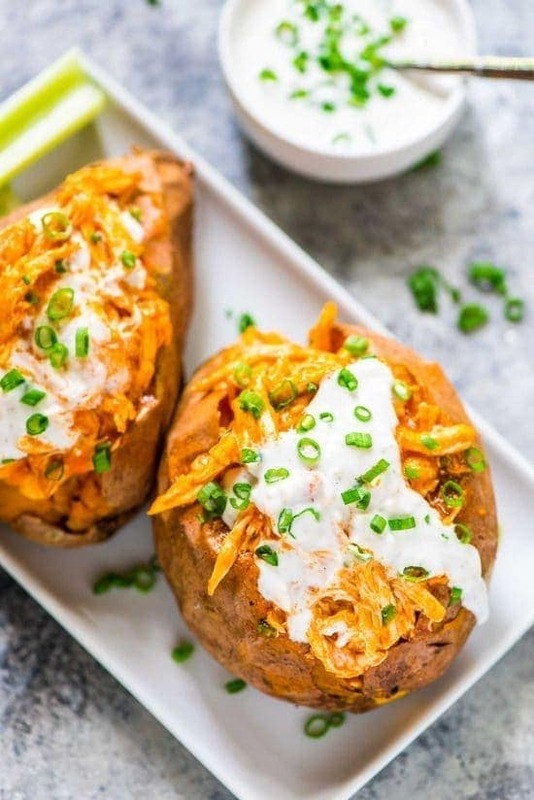 Super easy to make either on the stove top or the crockpot. Serve in lettuce cups for a fun and flavorful dish! Just try whole30 food and looking for recipes. Thanks for a lot recipes that I can eat for whole week. Pinned it! So glad to hear it Alex, thank you!! How are these whole30? From what I’ve read whole30 means no added sugar, yet the beef and broccoli calls for coconut sugar. 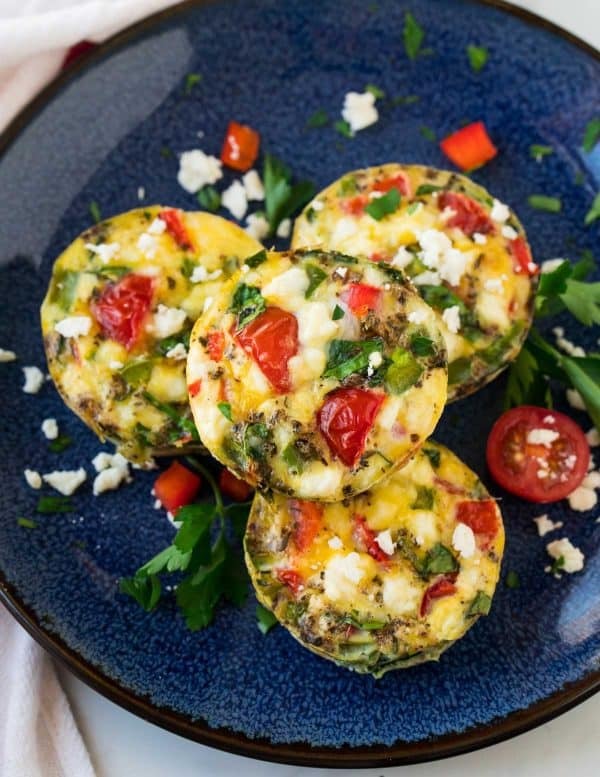 The breakfast muffins include feta but again I thought whole30 means no dairy. I’m confused… If they need to be slightly altered to be whole30 compliant, then I think that should be stated in the recipes and article. Hi Aubrey, I do state any necessary adjustments in the description for each recipe. Thanks for mentioning the beef and broccoli one—I’ll double check that! I hope you enjoy if you decide to give some of them a try.